To understand the city heritage I took a one hour guided tour on a small touristic bus that starts and ends its tour at the main square. I was not planning to see any interiors. But one place drew my attention as I was listening to the audio. 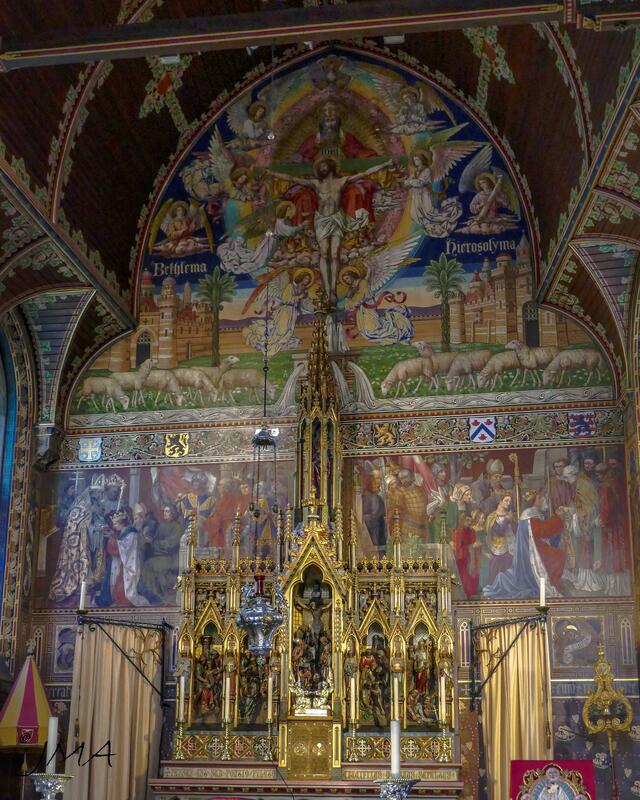 It was described as the most beautiful church in the city with relics of value inside. As it is located five minutes of walk from the main square I came back there after descending the bus. The church turned to be rather a big chapel with a status of minor basilica. Yes indeed, as I entered my only reaction was ‘Wow!’ Of beautiful interiors I saw last year (including the most opulent rooms in the royal palace of Madrid) this one turned to be on a definite must-see list. 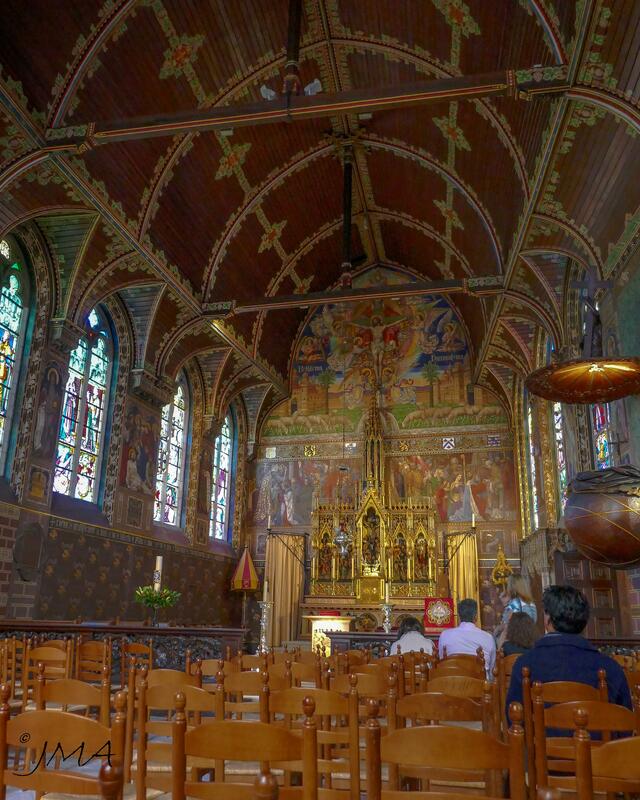 The Basilica of the Holy Blood in Bruges (Belgium) is famous for the venerated relic of the Holy Blood. But from the sightseeing point of view it is a place of true architectural and artistic value. 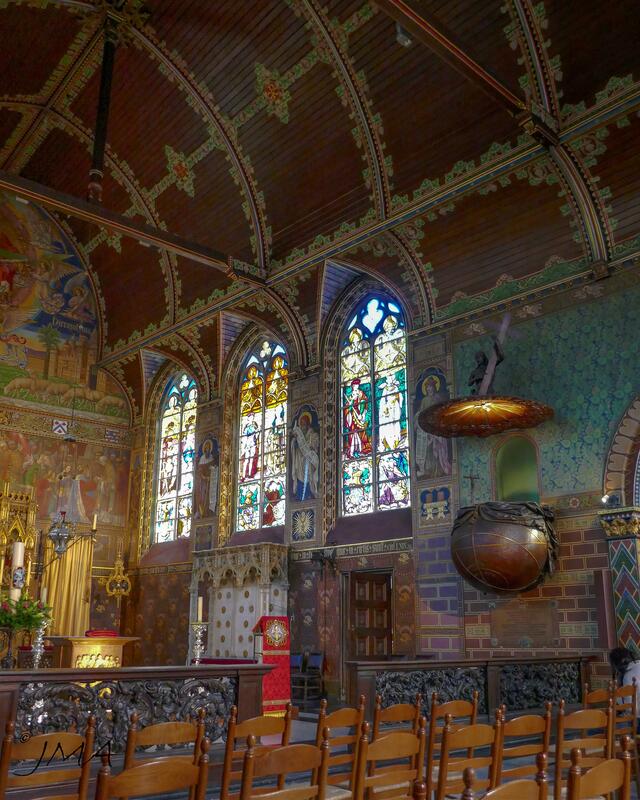 It was originally built in XII century as the chapel of the residence of the Count of Flanders. The status of a minor basilica was awarded 1923. The Basilica consists in fact of two chapels (the lower and the upper one) built within the residence of the Count of Flanders. It is easy indeed not to see it from outside as the entrance facade does not look like it leads to a church. In fact it is a small building in the top right corner of the Burg square. 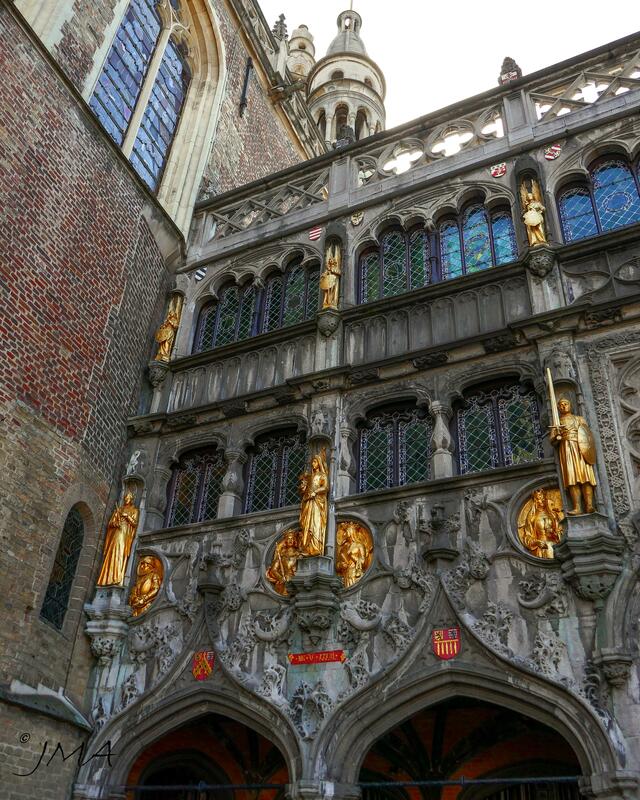 The building has a very decorative facade but … many buildings in Bruges look like that. The both chapels were originally built in Romanesque style. The upper chapel was however transformed into the Gothic style at the end of the 15th century and once again on the Gothic revival architectural wave in XIX together with other major revival works in the whole historical city of Bruges.